Former CIA Director Tenet warned the Bush administration of the negative consequences of failing to consider the aftermath of a U.S.-led invasion in Iraq. WASHINGTON, Feb 19 2015 (IPS) - As the Congress ponders President Barack Obama’s request for an Authorization for Use of Military Force (AUMF) to fight the Islamic State (ISIS or IS), U.S. policymakers must focus on the “morning after” before they embark on another potentially disastrous war in the Levant. The president assured the nation at his press conference on February 11 that IS is on the verge of being contained, degraded, and defeated. If true, the United States and the West must address the future of the region in the wake of the collapse of IS to avoid the rise of another extremist threat and another “perfect storm” in the region. The evidence so far that Washington will be more successful than during the Iraq war is not terribly encouraging. 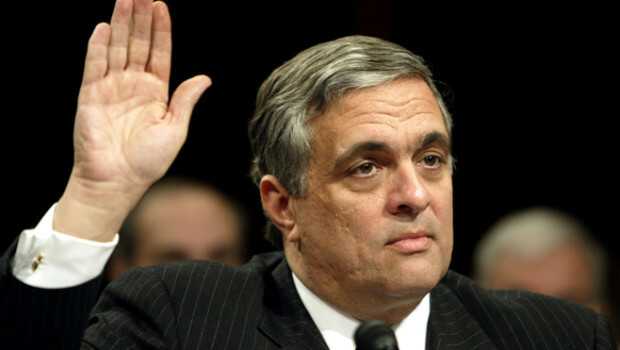 George Tenet, former director of the Central Intelligence Agency, wrote in his book At the Center of the Storm that in September 2002 CIA analysts presented the Bush administration with an analytic paper titled “The Perfect Storm: Planning for Negative Consequences of Invading Iraq.” The paper included “worst-case scenarios” of what could go wrong as a result of a US-led invasion of Iraq. The Perfect Storm paper suggested several steps that the United States could take that might mitigate the impact of these potentially negative consequences. These included a serious attempt at solving some of the key regional conflicts and domestic economic and political issues that have plagued the region for decades. Unfortunately, the Bush administration spent more time worrying about defeating Saddam’s army than focusing on what could follow Saddam’s demise. Ignoring the Perfect Storm paper, as the past decade has shown, was detrimental to U.S. interests, the security of the region, and the stability of some key Arab allies. The U.S. and the region now have to deal with these consequences—anarchy, destruction, and refugees—of the Bush administration’s refusal to act on those warnings. "If U.S. policymakers are interested in creating political stability after IS, they should explore how to re-establish a new political order on the ashes of the century-old Sykes-Picot Levant political architecture"
The past decade also witnessed the resurgence of radical and terrorist groups, which happily filled the vacuum that ensued. U.S. credibility in the region plummeted as well. Defeating IS might be the easy part. Devising a reasonably stable post-IS Levant will be more challenging because of the complexity of the issues involved. Before embarking on the next phase of combat, U.S. policymakers should have the courage and strategic vision to raise and answer several key questions. How will Sunni and Shia Muslims react to the re-entry of U.S. troops on the ground and to the likelihood that US military presence could extend beyond three years? The “liberation” of Iraq that the Bush administration touted in March 2003 quickly turned into “occupation,” which precipitously engendered anger among the population. Iraqi Sunnis and Shia rose up against the US military. The insurgency that erupted attracted thousands of foreign jihadists from the Middle East and other parts of the Muslim world. Bloody sectarianism and vigilantism spread across Iraq as an unintended consequence of the invasion, and it still haunts the region today. During the Iraq war, the Iraqi Sunni minority, which has ruled the country since its creation in the early 1920s, perceived the United States as backing the Shia majority at the expense of the Sunnis. They also saw the United States as supporting the sectarian policies of former Prime Minister Nouri al-Maliki, especially as he excluded Sunnis from senior government positions. This feeling of alienation pushed many Iraqi Sunnis to support the Islamic State. Former Secretary of Defense Donald Rumsfeld refused to admit that an insurgency and a civil war were spreading across Iraq. By the time he admitted that both were happening, it became impossible to defend the “liberation” thesis to Iraqis and other Arabs and Muslims. If the U.S.-led ground war against IS extends to Syria, how will Washington reconcile its announced policy favouring Assad’s downfall with fighting alongside his forces, and how will the Arab public and leaders react to such perceived hypocrisy? It’s foolish to argue that the US-led war against IS in Syria is not indirectly benefiting the Assad regime. Assad claimed in a recent BBC interview that the coalition provides his regime with “information” about the fighting. Regardless of the veracity of his claim, Assad has enjoyed a breathing room and the freedom to pursue his opponents viciously and mercilessly, thanks to the US-led coalition’s laser-like focus on IS. Sunni Arab regimes, especially Saudi Arabia and the United Arab Emirates, are already urging the Obama administration to increase substantially its military support of the anti-Assad mainstream opposition. These regimes, which are also fighting IS, argue that the United States could simultaneously fight IS and work toward toppling Assad. If this situation continues and Assad stays in power while IS is being contained, Sunni Arab populations would soon begin to view the United States as the “enemy.” Popular support for radical jihadists would grow, and the region would witness a repeat of the Iraq scenario. The territorial expansion of IS across Iraq and Syria has for all intents and purposes removed the borders between the two countries and is threatening the boundaries between Syria and Lebanon, Iraq and Jordan, and Iraq and Saudi Arabia. It will take a monumental effort to redesign a new Levant based on reconciling Sunnis, Shia, Christians, Kurds, and Arabs on the principles of inclusion, tolerance, and respect for human rights, economic opportunity, and good governance. If the United States is not prepared to commit time and resources to this goal, the Levant would devolve into failed states and ungovernable territories. If radical Sunni ideology and autocracy are the root causes of IS, what should the United States do to thwart the rise of another terrorist organization in the wake of this one? Since the bulk of radical Sunni theology comes out of Saudi Arabia and militant Salafi Wahhabism, the United States should be prepared to urge the new Saudi leadership, especially the Deputy to the Crown Prince Muhammad Bin Nayef, to review the role of Salafi Wahhabi preachers and religious leaders in domestic public life and foreign policy. This also should certainly apply to Saudi education and textbooks. Whereas in the past, Saudi officials have resisted any perceived foreign interference as an encroachment on their religion, this type of extremist, intolerant ideology has nevertheless given radical jihadists a religious justification for their violence. It now poses an undeniable threat to the national security of the United States and the safety of its citizens in the region. Autocracy, corruption, repression, and anarchy in several Arab states have left millions of citizens and refugees alienated, unemployed, and angry. Many young men and women in these populations will be tempted to join new terrorist organizations following IS’s demise. The governments violate the rights of these young people at whim, imprison them illegally, and convict them in sham trials—all because of their political views or religious affiliation or both—in Egypt, Saudi Arabia, Bahrain, Iraq, Syria, and elsewhere. In Egypt thousands of political prisoners are languishing in jail. In Bahrain, the regime has been stripping dozens of citizens of their citizenship because of their pro-democracy views. Once their passports are taken away, Bahraini citizens are deprived of most government services and opportunities. When visiting a government office for a particular service, they are required to show the passport, which the government has already taken away, as a proof of identity—a classic case of “Catch 22” leaving these citizens in a state of economic and political limbo. Partnering with these autocrats in the fight against IS surely will reach a dead end once the group is defeated. Building a new Levant cannot possibly be based on dictatorship, autocracy, and corruption. Iraq and Afghanistan offer stark examples of how not to build stable governments. The Perfect Storm paper warned the Bush administration about what could follow Saddam if critical questions about a post-Saddam Iraq were not addressed. The Bush White House did not heed those warnings. It would be indeed tragic for the United States if the Obama administration made the same mistake.